Welcome to Monica Angkor Hotel, a conveniently and perfectly situated place in Siem Reap city there are our comfort 30 rooms warm traditional Cambodia hospitality with peaceful accommodation that will make your memorable staying. The Monica Angkor Hotel, we provide highly services and qualities to our valued guests for every inquiry on during your whole staying. Monica Angkor Hotel to National Museum by walking is 2 minutes, 8 minutes driving to city central and pub-street called Phsar Chas market and 15 minutes drive to Angkor Wat temples complex as the wonder of world heritages. 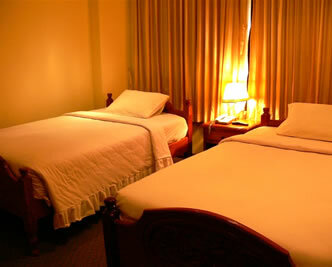 The hotel is suitable for all business and pleasure travelers. The hotel enables for food and beverages and business center with wireless Internet access and attentive services from our professional staff. Monica Angkor Hotel in larger map.